I've been into my bodybuilding - in a serious way, anyhow - for the last three years (I’m a 22 y/o male by the way). For the first two of those years, I made decent progress and was on the brink of finally achieving that prominent six-pack that I guess most men my age want to achieve. Sadly, instead of hitting that pack I seemed to have just crashed into a brick wall. No matter how many extra sessions I put in, whatever protein supplements I adjusted to, I just could not get to that final stage! In all honesty, my gym mates were starting to take the mick a little. It became a bit of a running banter that there was no point trying, that God himself was trying to tell me something! Even weirder, while I was focusing on my abs, I noticed barely any further development anywhere across my body. The more pleasant experienced lads were reassuring, and I knew that the maximum points of development required ever harder work, but it was starting to become pretty depressive. Just to point out here - there was no way I was ever going to touch any kind of steroid or unlicensed chemical growth agents. For me, anything which isn’t natural is cheating. Plus, you never really know what's in them. Every one who is seriously into the UK bodybuilding scene will know Eddie Hall. He's a titan of a man, and while I had no intention of ever getting quite that big, he's great to learn more advanced techniques and methods from. Anyway, I was watching one of his YouTube videos (seriously - check them out if it sounds like it may be helpful for you) and he started talking about CBD. At first, I thought to myself "that must be a nice little earner for you, Eddie!" but the more I listened the more it seemed to make sense. I read up a little more about it online and found that people seemed to use it mostly to treat mental and bodily illnesses. How could this help with bodybuilding I wondered? Digging a little deeper, I was surprised to find out that plenty of other big names in the game were also talking about the potential it could have in adding that final 10% to your routine. Consider at this point I was routinely dropping between £200-300 a month on supplements and gym/coaching fees, so in fairness it seemed that I might as well just give it a go. Looking through the options, it made sense to take a daily oil drop with breakfast and then use the same dose - I started at 15mg - added to my recovery drink of choice (water) after a session. For the first week, I noticed no difference whatsoever. As Eddie had explained, it takes a while to take effect depending on your body type, so I stuck with it out of respect for the big man. After all, this supplement is totally natural and is not going to have any adverse effects, so my thoughts were to finish the oils I had bought anyway. For those who are interested, I found the products I use at www.cbdoilsale.co.uk – it’s the best site I’ve come across. I noticed it in my cardio at first. Despite what most people would consider a pretty brutal routine, my recovery times just felt faster. My 'Bleep Test' performance increased two levels in a fortnight, and I was waking up in the morning feeling ready to run a bloody marathon! It was actually pretty weird, the only thing that had changed to my routine was adding that CBD. So of course, my thoughts were that if it could be so useful at cardio - then let's get back hitting those weights harder. It took about another 2/3 weeks or so until I was satisfied that my six pack was properly there. No joke - and I feel a bit silly saying it - but I'd worked so hard to get it, that at first, I couldn't trust my eyes. Goal achieved - and all I can say is that it was adding CBD to my routine that finally pushed me over that line. For the last three months or so it's been just about maintenance. I don't necessarily want to get any bigger (yet!) but there's no way I'm risking dropping down my figure by removing CBD from my routine. So there you go, it's nice to no longer being the laughing stock of the gym. The new fitbit alta is the latest fitness bracelet from Fitbit. The brand is known worldwide for developing smart and modern bracelets. The new model is an improvement over the High Standard because it has a heart rate monitor and promises to deliver superior battery life. Check out what I found of this smart band below. Unlike many other fitness wristbands, the High Fitbit HR is quite thin. According to the brand, which recently bought Pebble, this model is the finest already marketed in this category. However, we do not have thick little dimensions throughout its design, but, anyway, the model is discreet and serves well in all sizes of wrist. Three bracelet sizes are available for purchase: S, L, and XL. By default, the bracelet comes with a silicone finish, but it is possible to buy other chains with different finishes. The chain attachment mechanism is exclusive to Fitbit, meaning you will need to use the brand's official accessories. The clasp is also very secure, preventing it from being easily lost. Contrary to what it seems, the panel of Fitbit High HR is not that big. The display does not cover the entire front space, so we're talking about a 0.78-inch screen. It may sound small, but this size is more than enough for all essential information to be displayed, such as weather, heart rate, distance traveled, or a number of steps taken. The navigation is very simple, just by touching it. The touch response is not too fast, so you'll need to put more power when you touch the screen, taking into account navigation on a smartphone. Unfortunately, it is not possible to start a workout for High HR since you will need to use mobile applications for this. Fitbit should also have offered more brightness to the display, although it is possible to view it in ambient light conditions, it is noticeable that there is a lack of brightness on the panel. Fitbit's system algorithms work very well together with their sensors, such as the pedometer. It counts active and inactive days, including those that are below the target, for example. Soon, you will not have to kill yourself to reach a goal of ten thousand steps. Other bracelets are more demanding, but they fit with smaller goals, such as six thousand steps. Like most wearable devices, Alta HR has an optical sensor that measures your heart rate, but there are some limitations to how it works. In general, the sensor delivers correct results on the user's health while walking or pedaling, for example. During weightlifting or a yoga session, this information is not recognized correctly or easily. One of the few failures of Fitbit High HR is the absence of built-in GPS. If you want to follow your race course, on foot or by bike, you have to carry your smartphone together for this purpose. There is also no altimeter, i.e. the High HR will not count the number of steps you have climbed throughout the day. Is the market going down for Vitamin B12 patches? The market trend shows that really the market for Vitamin B12 patches is going down and down with time. One research says that in the year of 2013 the total revenue of the Vitamin B12 patches was $4.6 billion which in the year of 2017 went down to almost $2.9 billion. That is the reason scientists are appointed for the research work to make these patches more effective so that more and more people use them around the world. Due to thorough research on how to make the Vitamin B12 patches more effective scientists have found various ways to make them more useful. Recent sources depict that currently, these patches are not only effective in fighting with the Vitamin B12 deficiency syndromes but they also help in reducing homocysteine levels, diabetes and more from people’s body. Continuous research work has been going on to make these patches fight against cancer and if possible even cure cancer. Also, most women across the globe suffer from Vitamin B12 deficiency syndrome. Research work has been going on to make these patches helpful for the women as it was not useful for the women previously and was a strict ‘NO’ for a pregnant woman or for even a nurse. Along with the cancer treatment, the researchers are also striving to make these patches useful and make them cure various chronic diseases along with cancer. What is the reason the market has fallen down? Are there any side effects for the patches? Earlier the patches were used only to reduce the Vitamin B12 deficiency syndrome from people. Women were not advised to use these patches especially the nurses and the pregnant women. As it is said that, whenever the patches come in contact with other medicines, various health issues will be found. This was the scene earlier which has been changing slowly and the manufacturers are taking a step forward to make these products more and more useful to people. Thus, getting more sales and grow altogether. Ø As stated earlier, these patches are not advised for women especially the lactating women and for the nurses. Ø The drugs that are used to treat diabetes such as proton pump inhibitors, metformin etc. are absolutely hazardous for these patches. If a patient is already using those products are not allowed to use the patches as they will interfere with each other. Ø Eczema patients should avoid wearing the patches as they can be very irritating for them. Ø Sometimes, even a blood clotting can be seen as a side effect of using these patches. Ø Also, Diarrhea can be caused due to these patches. Ø High blood pressure, continuous stress, anxiety, depression, cholesterol problems, heart diseases can also occur due to the use of this transdermal medicinal patches. Henceforth, there are a number of Vitamin B12 patch side effects on the human body. Due to this, the manufacturers of these products have lost their market in the past few years. But, after rigorous research work on this subject, scientists have found some ways to increase the efficiency of this product and make them more useful, sustainable in the market. Badminton is a racket game played on a rectangular court which features both singles and doubles. It involves fast movements for hitting the shuttlecock across a net. Beginners and intermediate players should consider buying high-quality rackets that fulfill their expectations in a game. This will help a lot to choose the right one which exactly fits a game. Another thing is that players can focus more on improving their skills when playing badminton. Below are some tips available for those who want to buy a new racket from the markets. It is necessary to know the frame construction in detail while purchasing a badminton racket which ultimately helps to meet essential needs. Although most racketscome with steel materials, they are heavy. The lightweight aluminum rackets are an ideal one for beginners because they provide more control to users. On the other hand, graphite rackets are a perfect choice for experienced players to handle them with excellent speed and control. Grip size plays an important role in a badminton racket and players should make sure that it fits their hands correctly when playing a game. Moreover, it offers more comforts to players for overcoming unwanted problems. Anyone who is not sure about the grip sizes can get ideas from different sources for making a better decision. A badminton player should give more importance to string tension of a racket because it helps to get more power in the striking process. Beginners need relatively low tension when playing a game with others whereas experienced players should buy a racket with high tension. The badminton rackets come with isometric shape and oval-shaped frames enabling players to enjoy a game. Beginners can choose a racket with isometric shape and oval-shaped rackets are a suitable one for experienced players. A badminton player should choose a racket that provides more balance in a game. The head heavy rackets are a perfect one for those who want to defend powerful shots from an opponent with more power. On the other hand, a balanced weight racket is a good one for all types of shots. The players should choose a racket which perfectly suits their playing style. A badminton game involves aggressive, fast, straightforward, and deceptive playing styles that determine the winning possibilities. Therefore, it is advisable to know more about them in detail for playing a badminton game with ease. It is an important one to choose a branded one while buying aracket from markets. Yonex, Li-Ning, and Silvers are some popular brands which aim at satisfying the needs of players in a badminton game. Not all game stores offer high-quality rackets and players should evaluate them with special attention for choosing the right one. Those who want to know more about the details can visit https://www.shopnings.com/li-ning-badminton/li-ning-badminton-rackets/ for choosing a racket based on the choices. The store offers discounts on the products enabling players to select them at the best prices. You’ve probably seen the ads for Invisalign, which pitches itself as a provider of top quality clear aligners. With a gallery of pretty impressive before & after stories, you would think Invisalign is almost certainly a good choice for you, or at the very least a possible smile solution to research in depth and maybe even talk to your local Invisalign dentist about. If you’re a middle or high schooler, you’ll fit right in with traditional metal braces. Your parents may choose to go with this long-proven method of teeth straightening to ensure you won’t get any funny looks for not having braces (Invisalign aligners are practically invisible, you see). More likely, however, they simply know metal braces from their own childhood and trust that they will do the job they are meant to do – straighten your teeth. And in this belief, they’re absolutely right. If you’re over 18, on the other hand, you may want to reconsider your options. Braces are sort of considered an adolescent rite of passage and may be a distraction once you enter the workforce or college life. Invisalign aligners allow your smile to shine as they gently correct your bite, and let you eat and speak with confidence befitting the adult you are. You’re tough, strong, and fear no pain. You’re the type of person to choose the difficult paths in life just to prove you have it in you. You welcome discomfort, get hyped up by regular orthodontist appointments to adjust your braces, and the tightening sensation others may experience as bothersome gives you an adrenaline rush. You enjoy the feeling of cold, hard metal scraping against your cheeks. If this is you, then Invisalign is definitely not right for your mojo. If, however, you don’t see the point of needless pain and appreciate a smooth ride as you pursue a straighter smile one step at a time with minimal discomfort, then you might want to talk to an Invisalign dentist. You’ve already made it to the top of the career ladder and dare anyone to challenge you. You don’t really care what your clients and business associates think of your metal braces (or your crooked teeth), and they wouldn’t be brave enough to comment on them anyway. Yep, you’re the type of person who can safely gloss over Invisalign. But if you’re not this person…if you still have career ambitions ahead of you, and your clients’ opinion matters, then Invisalign can help you correct that charming crooked smile with minimal effort and no talk at the water cooler. There are some die-hards out there who believe in the tried-and-true, and rightly so! You’re the last person in your family to own a mobile phone, still don’t have a Facebook account, and don’t give a hoot about the latest Mac Book. Sure enough, stay away from Invisalign! If, however, you’re a tech junkie who appreciates innovation or is at least slightly curious about how new technology can improve lives, check out Invisalign. The incredible technology that goes into crafting your custom-made aligners is fascinating. Yeah, so, obviously you won’t need any more Invisalign. You already passed the first 4 objections and decided that a gentle, undetectable way of straightening your teeth with minimal maintenance is a good choice for you. There’s only one thing left to ask then – who wants a straighter smile anyway? We seasoned this article with lots of grains of salt, so we hope you’ll take it that way. If you do decide you want to learn more about teeth straightening, talk to your Invisalign dentist to find out if invisible aligners are right for you! Reasons why you should increase vitamin B12 intake. Vitamin B12 is one of the most important nutrients that are required by the body. Unlike other nutrients, the source of vitamin B12 cannot be taken directly because the source is either unreliable or inadequate. It is therefore recommended to take vitamin B12 supplements. There are so many supplements in the market and it is important to seek the guidance of your doctor. Also, while choosing the right supplement, you ought to seek the ones that dissolve under your tongue instead of swallowing a tablet. Relying on the plant foods alone to get the needed vitamin B12, you may eat so much before you can satisfy the body needs of vitamin B12. Below are some of the major benefits of taking vitamin B12 patch supplements. Vitamin B12 helps in boosting metabolism. Vitamin B12 is an enzyme cofactor. This means that when you take it, it helps to boost your body’s energy production thus making it more efficient. Vitamin B12 helps greatly in converting fats and proteins into energy. If you have vitamin B12 deficiency, you will suffer from fatigue and weakness around the joints. However, if your metabolism is boosted it will ensure that your body energy is used thus you avoid getting weak and you can perform at your highest energy level. The Immune system is boosted. Lack of vitamin B12 will constantly make you feel sluggish. This could have an influence on your immune system. It is recommended that you should increase your b12 intake in order to enhance your immune system. This, in turn, helps your body to fight diseases, germs, and other organisms. If you are looking for the best ways to enhance their immune system, vitamin B12 can greatly help you. Vitamin B12 helps in maintaining cognitive function. Maintaining the health of your vital nerve cell is important and one of the best ways to do this is to maintain recommended health B12 levels. The main reason why you should ensure that your nerve cells are at their optimum health is that they help in forming a protective covering known as the myelin sheath. If the levels of health B12 drops, it contributes to the drop in the cognitive function. Some of the most common symptoms are; mood swings, concentration problems, numbness, etc. Taking vitamin B12 betters your sleep. Imagine suffering from prolonged fatigue, weakness and in addition to all this, you cannot get good sleep. Well, these signs could only mean that you are suffering from vitamin B12 deficiency. In the long run, you are unable to perform at your optimum energy levels. To curb this, it is recommended that you should increase the intake of vitamin B12. This will not only deal with the issues that you could be having but it is a great way to better your sleeping patterns. If you want to live a long and healthy life, it’s important to stay in shape. But since our day to day schedule is so busy and we are prone to procrastination, we have to work with a professional. And that’s where the need for a good Personal Trainer comes into play. Thanks to your Personal Trainer you will be able to create a great workout schedule and stick to it. Here you have some of the main benefits that come from working with such a professional! Every person has a different requirement when it comes to workouts. And it all comes down to things like physical condition, illnesses and their medical background. The Personal Trainer will help you accommodate and optimize the workout routine according to all these requirements. So even if you have a broken back, injuries or came back from surgery, the Personal Trainer will assist. The same thing happens if you are overweight, your trainer will be able to find the right workout routine designed to eliminate all the body fat naturally. The Personal Trainer helps you identify the right goals, but he will also help you achieve them at the right level. He will make sure that your goals are realistic and that you can reach them. But the best part is that he is the one person that will keep you accountable. As we mentioned earlier, it’s easy to procrastinate and skip training, but you will have to be accountable for these actions in front of the Personal Trainer. This means you get to be more focused and committed to your workout. Which in the end brings in more benefits and amazing results. When you work out on your own, you will end up with a very high risk of injuries. And as you can imagine, something like that will be very problematic. This is why working with a certified personal trainer is your best path to success. He will always create the right workout routine for you. And as a bonus, he will be there to ensure that you’re not dealing with any injuries as a result of that routine. It’s never easy to lose weight or to maintain a good shape. But the best thing about working with a Personal Trainer is that he will help make these things a reality as fast as possible. It certainly works, and it manages to offer you tremendous support every time. Plus, being able to see results faster will inspire you to work out more, which is exactly what you need. 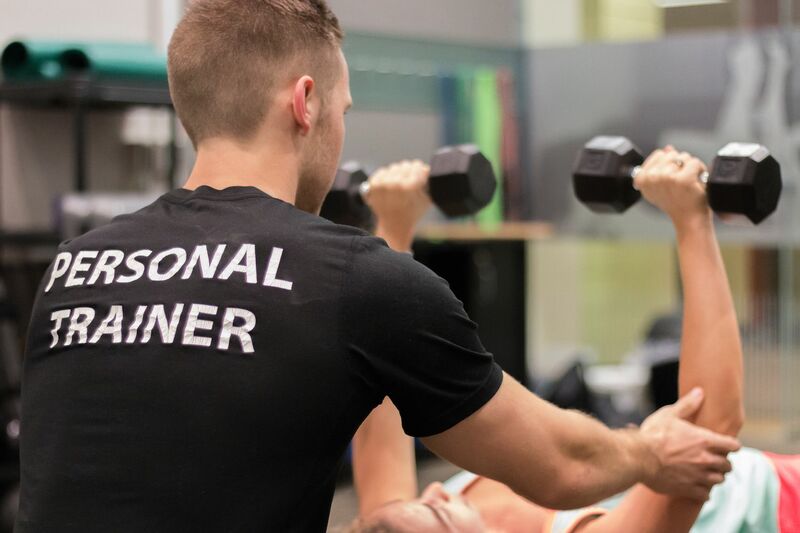 The Personal Trainer will make your workouts better and more efficient. One of the main issues with your normal workouts is that they are not targeting your own needs most of the time. A Personal Trainer will help identify your requirements and then he will make sure that you achieve all the results you expect. It’s a great and powerful opportunity and one that can pay off very well for you. While working with Personal Trainer can seem overwhelming, that’s very far from the truth. Your trainer will help you find the best workout routine and he will make you stick to it. He is also the person that will make you more accountable too. So while it’s very hard to stay in shape or lose weight, he is the right person to make that a reality. Don’t hesitate and find a good, reliable Personal Trainer for you right away, it will be well worth it! There is no doubt that dental implants have changed the landscape of modern dentistry and teeth replacement therapy for people suffering from tooth loss. More importantly, dental implants have changed the lives of countless dental patients the world over – allowing them to once again eat and smile with confidence. Think of dental implants as a high-tech solution to tooth loss. Whether you are missing one tooth or many, today’s dental implant specialists have a repertoire of options to address just about any tooth loss issue. Unlike traditional removable dentures, dental implants are permanently anchored to the patient’s jaw by way of an artificial tooth root that resembles a screw. The screw is typically constructed of titanium, a tremendously strong and durable metal. The implant is subsequently topped with a crown, most often made of porcelain to mimic the appearance of a natural tooth. Dental implants restore patients’ confidence in their appearance and ability to eat and speak, enhancing career prospects and personal relationships as a result. The dentist may begin the process of constructing your new smile by extracting the decayed or otherwise unhealthy tooth (or teeth) in question. The resulting gap (or gaps) will later hold your dental implant. If the insufficient bone mass is of concern, the dentist may recommend a bone graft prior to installing the dental implant. Once the dentist deems the implant site ready, he or she will insert the implant screw through a small incision in the patient’s gums and anchor it to the jaw bone. When the dental implant is sufficiently fused to the bone to withstand the force of biting and chewing, the patient returns to the dentist’s office for teeth impressions. These impressions will be used to create a mold from which the crown will be custom-made for a perfect fit. At this time, the patient will also choose the color and material for the crown. Once the lab delivers the crown (a process that can take anywhere from a few days to a couple of weeks), the dentist attaches the crown to the dental implant with the help of a connective device called an abutment. The patient is now ready to leave the dentist’s office with a new smile in place. Dental implants are typically considered a cosmetic procedure and therefore not covered by dental insurance. Single dental implants start at approximately $1,700 per implant, and the cost increases accordingly for patients who are missing more than a single tooth. Some dentists offer dental financing plans to ease the financial burden of dental implants on their patients. Talk to your dentist about dental implants today and experience the confidence of a new smile! How does HIPAA protect you and your personal medical information? The Health Insurance Portability and Accountability Act of 1996 sets out clear guidelines on how healthcare employees are to deal with sensitive patient data. The Act largely concerns itself with protecting patient privacy and preventing unauthorized individuals from accessing it. To ensure HIPAA is properly implemented, the Office for Civil Rights – the body within the Department for Health and Human Services that oversees HIPAA enforcement – requires all employees are trained in HIPAA compliance. It is not necessary that patients receive such training, but it is worthwhile understanding how HIPAA works to protect you and your personal data. How is patient data protected? In 2003, the Privacy Rule was added to HIPAA. This specifically dealt with patient privacy and gave a definition of Protected Health Information (PHI). This includes all health records, current treatment plans, and diagnoses, as well as identifiers such as name or social security number that could be used to trace an individual. The Privacy Rule also describes the “Minimum Necessary” rule. This stipulates that only the PHI needed to disclose a certain healthcare-related task should be disclosed at any time, and no more. This means that the data is only shared with those that need to know. Furthermore, the Privacy Rule also gives patients the right to request access to their medical information, to request changes to the information if they believe that it is inaccurate, or to know who has accessed their medical information. Thus, it grants them agency of the direction of their own healthcare. Later, the Security Rule laid out clear technical, administrative and physical guidelines as to how this data is to be safeguarded. These should be regularly reviewed and updated in light of recent developments. Examples of such practices are listed below. Each of these safeguards is required to afford your data maximum protection. HIPAA training employees in data protection help nurture a privacy-conscious work environment, whilst also ensuring all employees are up-to-date on the latest practices in the organization. Safeguards such as clear-desk policies can help prevent thieves from picking up confidential files, or even “incidental” data breaches that can still harm patients. Encryption ensures that, even if mobile electronic devices are lost or stolen, the data saved onto them cannot be accessed without proper authentication. To ensure that all of these measures are being followed, the OCR conducts regular audits. The aim of these audits is to assess which areas of HIPAA compliance organizations struggle with. They can then offer guidance on how to better protect data. If a violation has been discovered, the OCR will prosecute the company in question. Often, this will result in a warning and the requirement to follow a corrective action plan, but in some serious cases, it will find the organization. These fines can reach millions of dollars, and thus act as an extra deterrent against HIPAA violations. Steps to take for proper indoor golf playing. Winter is one of the worst seasons of the year for the golf enthusiasts. There is literally no outdoor places that you can enjoy the game. The weather makes every person want t stay indoors all the time. If you are a professional or starting to train golf, it can be quite a long season for you. Well, this is no longer a major concern because, regardless of the weather, you can enjoy your game at any time of the day and season. Playing golf indoors has gained popularity over the recent past especially for the golf trainees. There are a few steps that you need to incorporate in your indoor practice sessions especially when the winter won’t let you step out of the house. a) You need to have the right training aids. The kind of gadgets that you have can determine how much you can enjoy the golf game indoors. The right gadgets can have a great impact during your practice. Below are some of the major training aids that you will need. * Golf Mats. These allow you to practice your swings and strike the ball in a way that gives real-time feedback on whether you have made contact with the ball. * Indoor putting Tin Cup. This is a form of indoor gold putting cup that is very vital in your indoor practice plans. They are easy to use and you can place them on your preferred part of the golf mat. Playing Tin Cup indoors will make you much better at chip and pitch shots when you get on the golf course. * Indoor golf balls. These balls are designed in a way that allows you to practice your shots without posing any damage risk on your home. This kind of balls can be used both in the indoors and outdoors. b) Ensure that you set up a realistic routine and schedule for practice. This is the only way that you will perfect your game. Your schedule and routine will be determined y the kind of activities that you have in your life. If it is possible, it is recommended that you should practice about 3 days a week. However, in setting your schedule you should seek to ensure that it is something that you can manage to maintain. Also, include the game pieces that will help you perfect your game and get effective results. The 6 areas that should be included in your schedule are Golf swing, Strength training, driving range, indoor putting, indoor golf net, and indoor golf simulator. Practicing regularly for a few hours will go a long way in perfecting your overall golfing. Above are two major steps that you need to take to ensure that your game is perfected, enjoyable, and fun to play. Hey, I’m Karen Cole. How are you? I hope you’re great! Thanks for stopping by my website to learn a little more about me. I have been involved in the health and fitness field in a professional capacity for about a decade. But my love for working out and helping others get better started at Indian Hills High School. I was fortunate enough to be the Captain of a great group of guys on the Varsity Ice Hockey team. I decided that if we were going to do our best we needed to train off the ice just as hard as on the ice and put together workout programs for the guys to do after school. I learned a lot about program design and started to see some muscles on myself.